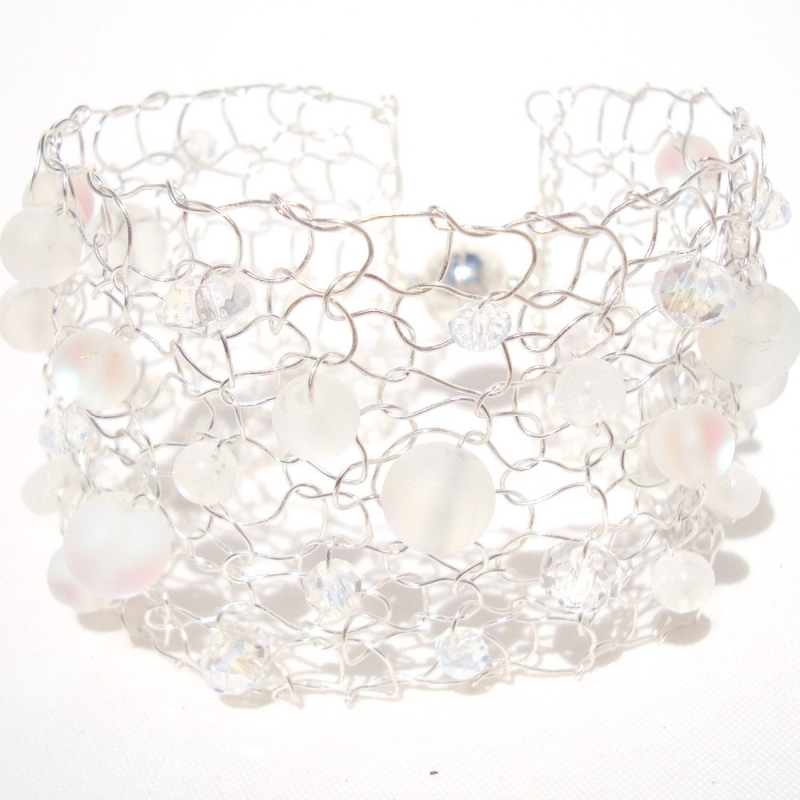 This unique hand knit wire cuff is sure to make a statement this Holiday Season. 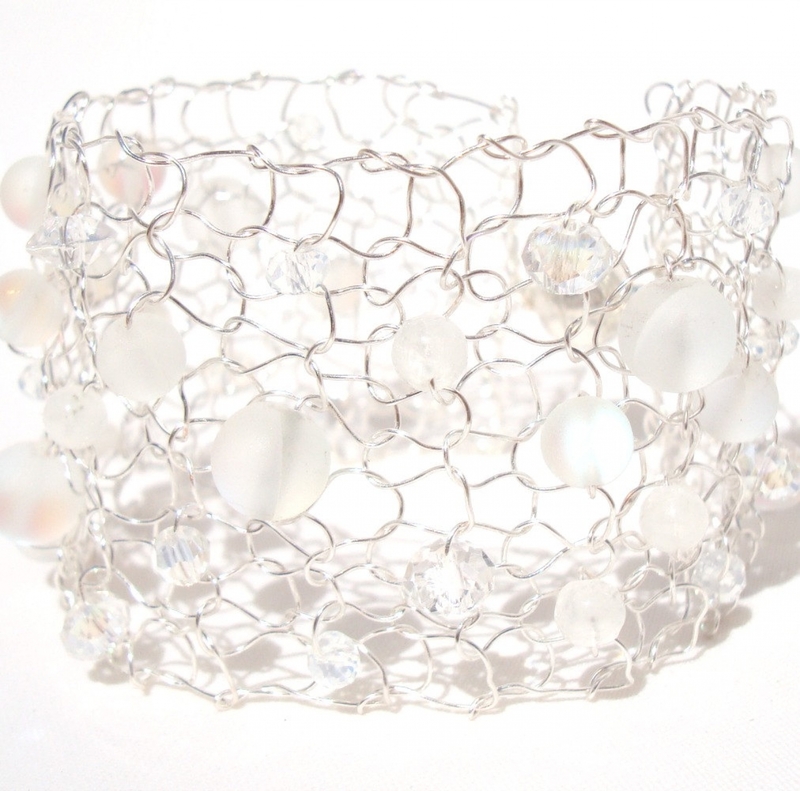 Gorgeous rainbow moonstone that actually GLOW and sparkling crystals float gently throughout this artistic metal lace cuff. The perfect gift for those who have everything - as no two every knit up quite the same. Absolutely one of a kind. Every single piece is hand strung and hand knit. It is both delicate, yet dramatic. 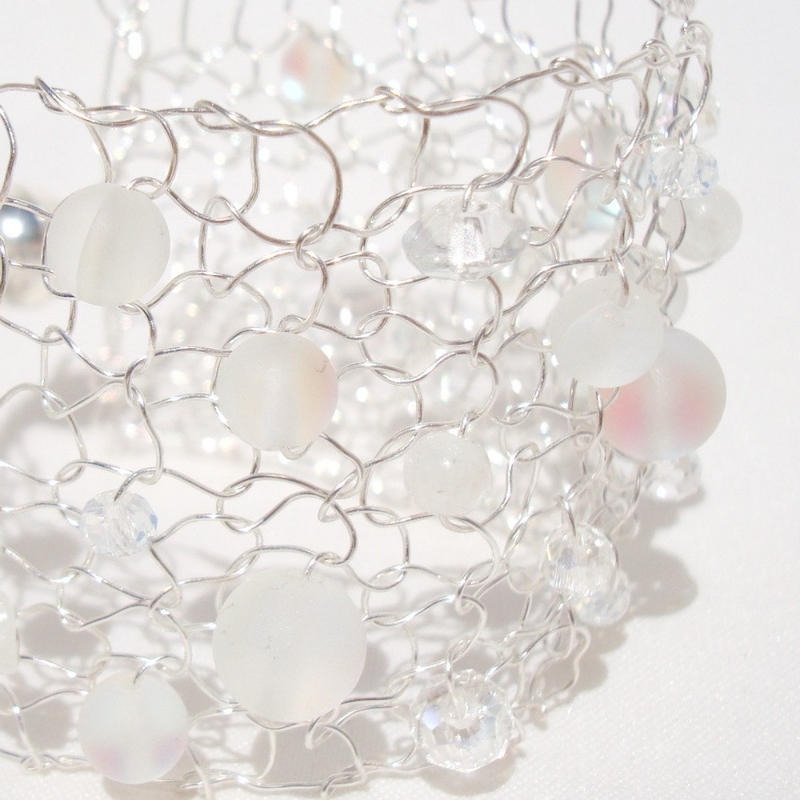 The cuff is 1 1/2" in width and will be knit to size. They are finished with a simple, yet very strong magnet for convenience. Please indicate wrist length at time of purchase. 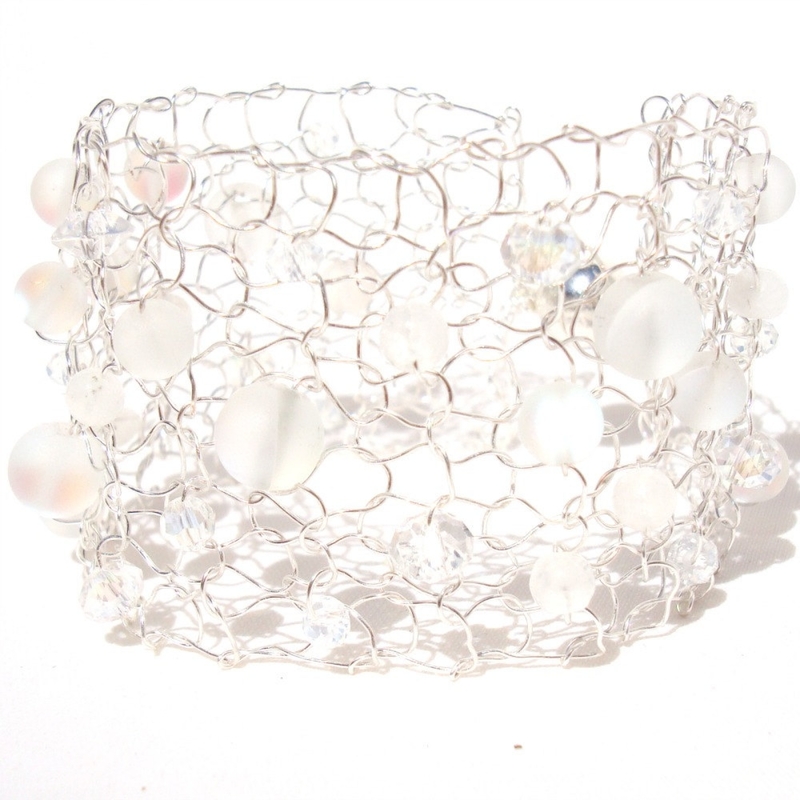 This moonstone bead mix is very limited so only a few are left to purchase at this time.